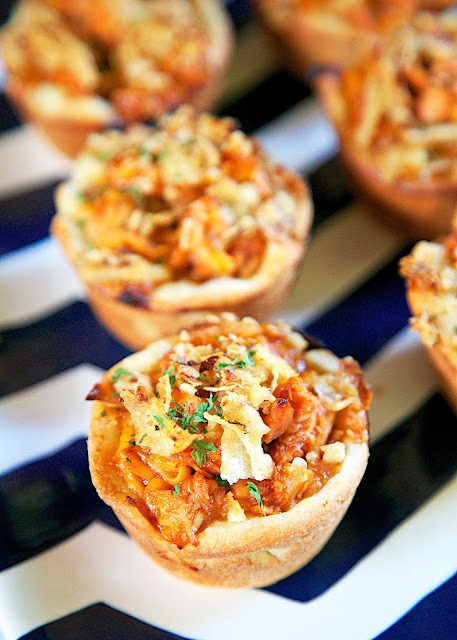 BBQ Chicken Cupcakes - chicken, bbq sauce, cheese, refrigerated pizza dough baked in a muffin pan and topped with French fried onions. So simple and SO delicious! Great for tailgating or a quick lunch/dinner. Can swap chicken for leftover holiday turkey. I hope everyone had a great Thanksgiving yesterday! Now that we got that out of the way, we can move on to football! More specifically, the Iron Bowl! The biggest Football Friday of the year! Tomorrow Auburn and Alabama will play each other. The winner walks away with major bragging rights for the next 365 days. You can mix up the filling today and fill and bake the "cupcakes" tomorrow morning. I used rotisserie chicken in this recipe, but you swap the chicken for some of your leftover Thanksgiving turkey. 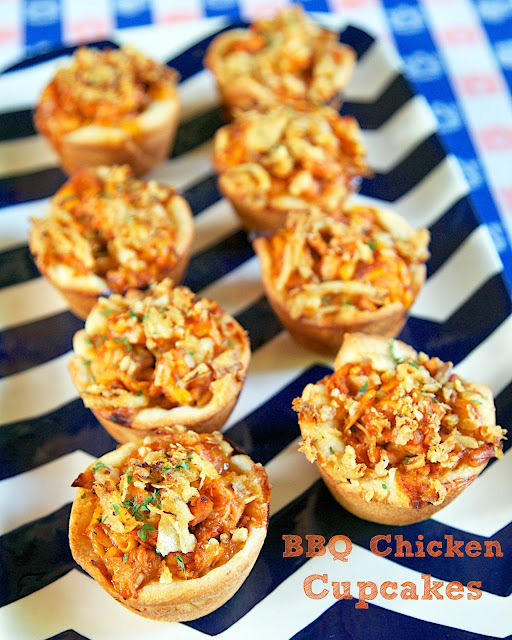 Either way, the BBQ Chicken Cupcakes will be great! 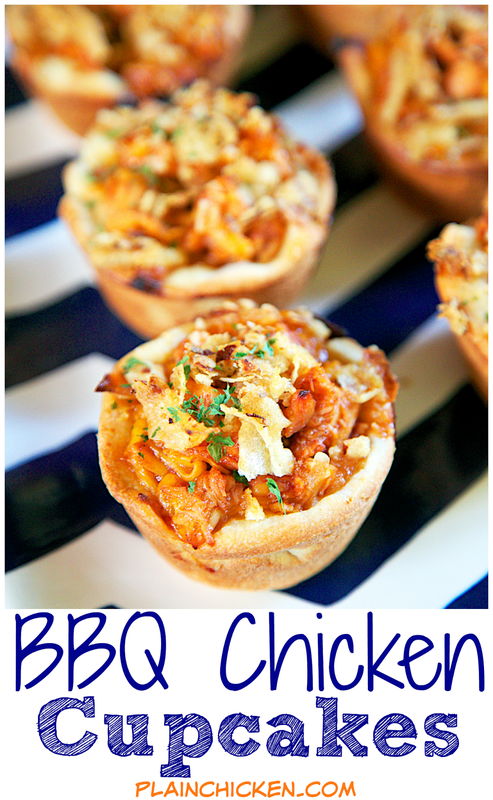 Combine chopped chicken, cheddar cheese and BBQ sauce. Divide mixture between muffin pan cups. Top with French fried onions.